Our article is going to help you with this process by reviewing and ranking six of the best pianos for classical pianists. The criteria we will use in our ranking process are a combination of affordability, sound, and popularity. 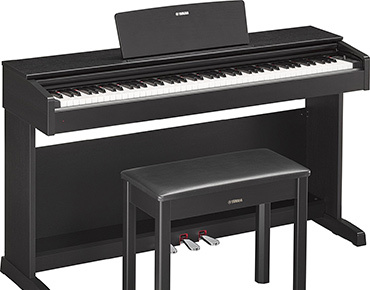 Our seventh best digital piano for classical pianists is the Yamaha YDP143B series. It features an attractive exterior that is contemporary in nature. In addition to being stylish, it’s also extremely easy to care for. The total polyphony count for this particular product is fairly high at 192 notes. 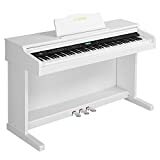 Users who are adjusting to an electronic piano for the first time will also love that this model utilizes weighted keys to create a more classic feel that closely matches traditional piano types. Weighted key design closely resembles the feel of a traditional piano. A bit on the expensive side. The LAGRIMa digital piano is our fifth best digital piano for classical pianists pick. One of the best things about this particular model is that it combines both an affordable price tag with decent features. It has 88 different keys that provide a wide selection of octaves to work with. 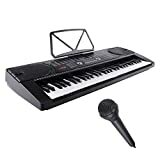 In addition, you can also connect this piano to a variety of external devices to expand its functionality. Rich audio quality. The design looks slightly plain. Features controls that are easy to understand. Our fourth best digital piano for classical pianists selection is the Yamaha P45. One of the most prominent features that this product has to offer is its compatibility with a wide selection of educational tools. This is thanks to the USB to HOST port that the keyboard has. In addition, the keys are full-sized and are weighted to more closely resemble the feel of a traditional piano. 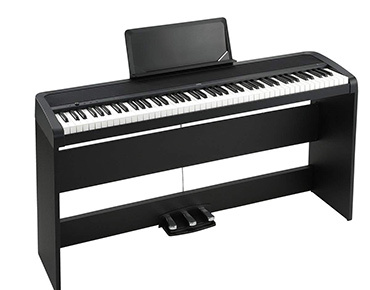 For users who are just beginning to adjust to an electronic piano, it’s an excellent option to consider. Wave memory sampling technology produces clear audio quality. Only offers a 64 polyphony count. Lightweight design that is easy to assemble. Looking for more advanced options? 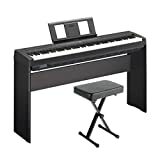 The third choice for best digital piano for classical pianists is the Korg B1SP model. 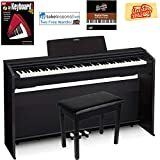 This keyboard offers 88 individually weighted keys that closely resembles both the look and feel of a traditional piano. Even with its high-quality features, it still manages to offer a competitive price tag as well. In terms of sound quality, this model does not disappoint. This is due in part to the impressive 120 polyphony count that it supports. Capable of playing up to 120 individual polyphonic tones simultaneously. A bit larger than average. 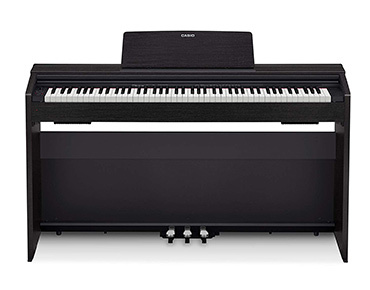 The Casio Privia PX-870 is our second best digital piano for classical pianists. This is a full-sized model that offers 88 individually weighted keys. The style is designed to closely resemble the look and feel of a traditional wooden piano. We also found that the speaker system delivered an impressive amount of sound. This is partly due to the fact that this piano comes with four built-in speakers that are located on each corner. Suitable for larger practice rooms where louder volume output is key. The overall cost is slightly higher. The classic wooden finish is both attractive and easy to maintain. Controls feel slightly cramped in the left-hand corner. Based on popularity, the Alesis Recital is our number one best digital piano for classical pianists to pick. This product features 88 keys that are semi-weighted. One of the main reasons this particular product is so popular is that it is both extremely affordable and easy to use. In addition to its convenience, it also delivers audio quality that is surprisingly rich for its size. 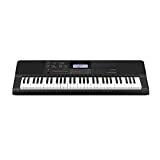 Plus all of the basic features that most digital pianos have like split mode, layer mode, and a vast selection of instruments so that you’ll never get bored. Very affordable and portable. Semi-weighted key design can take some getting used to. Simple user interface that is ideal for beginners. Lacks foot pedal controls. 20-watt speakers deliver crystal clear audio. 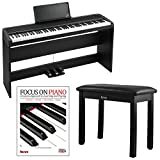 When searching for the best digital piano for classical pianists, always make sure to consider your overall skill level and the size of your given practice area. Fortunately, the products we reviewed cover a wide range of sizes, styles, and price ranges. This will make it easier for you to find the perfect digital piano for your needs. If there are any product recommendations that you feel are worth mentioning, please tell us about them in the comments.